Photos courtesy of Valkyrie Selections. Steve Graf and Baron Ziegler’s motivation to open an import shop in 2011 sounds familiar. 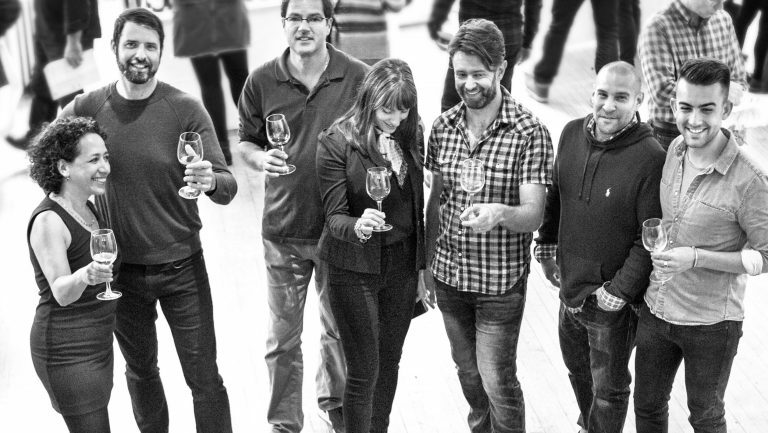 They founded Valkyrie Selections with the simple goal of selling enough wine from their favorite producers to bankroll their personal consumption and to bring a few new wines to market—essentially a side project. Fast forward to now. Valkyrie has a presence in 42 states and is projected to move 200,000 cases in 2018, and 500,000 in another five years, Graf tells SevenFifty Daily. Valkyrie’s success is remarkable but not shocking, considering the precedent Graf and Ziegler set with Banshee Wines. 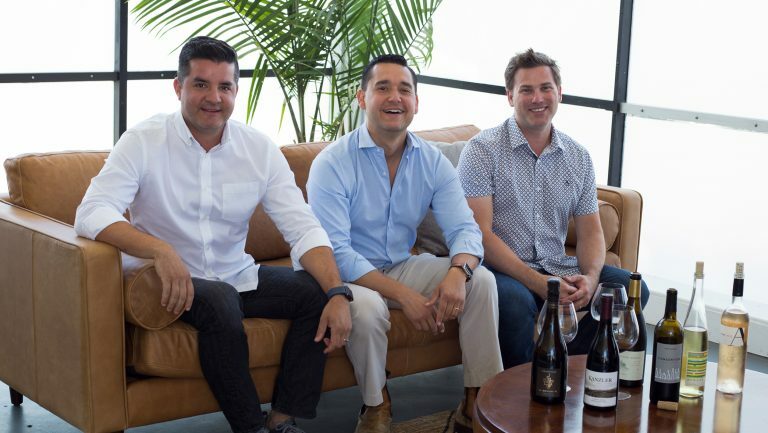 With little more than an impressive Rolodex, funds borrowed from friends, and prescience, they turned Banshee Wines into a multimillion-dollar juggernaut in just a few years. When Ziegler and Graf’s sister, Catherine, got married, it was clear he was a keeper. Graf was working for the importer Martine’s Wines at the time, and Baron was working for European Cellars. Against the backdrop of the financial crisis, the market for premium wine dried up, and Graf and Ziegler saw an opportunity. “Winemakers couldn’t afford to turn their juice into wine, and they were willing to sell it at a steep discount,” Graf recalls. The pair decided to launch a pocket label, specializing in Sonoma County Pinot Noirs, that offered premium wines at historically low prices. 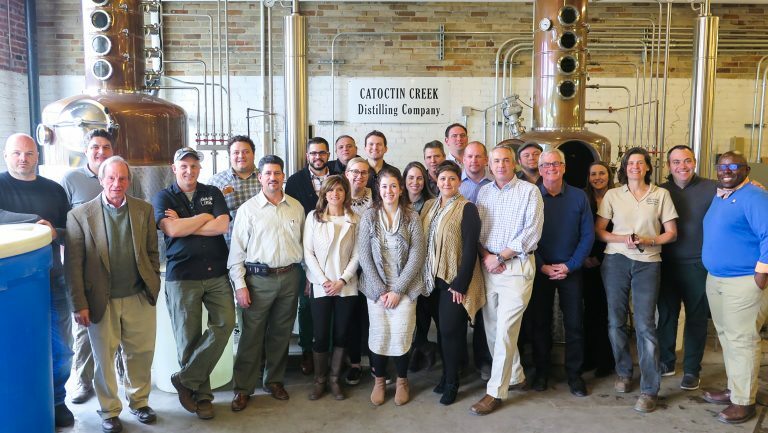 Their goal to make about $10 million in the first few years was met, so Graf and Ziegler used the cash flow from Banshee, got some additional investment capital from friends and family, and created a DBA under the Banshee LLC umbrella. As mentioned above, their stated goal for Valkyrie was humble. But by using the blueprint they created while building Banshee, the results have been extraordinary. 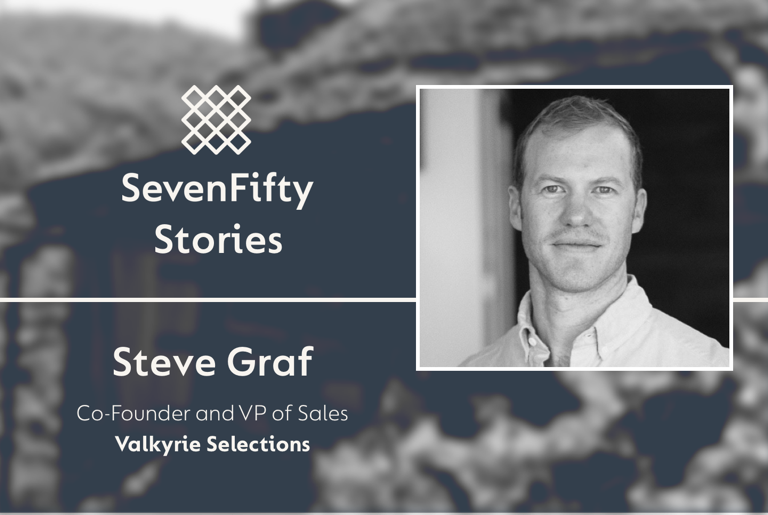 SevenFifty Daily sat down with Graf, Ziegler, and a few of their partners to deconstruct and examine the building blocks of their amazing success. What he had in mind, and what ended up happening, is that many of his trusted contacts would stay with his previous employer, European Cellars, but start telling new producers about Valkyrie, giving him an opportunity to bring young labels to the U.S. market for the first time. Victor Charcán, of Roda Winery, explains that it was the combination of his relationship with Ziegler and their shared philosophical vision that drove him to work with Valkyrie and to encourage like-minded wineries in Rioja and Ribera del Duero to do the same. While Valkyrie’s portfolio represents more than 30 growers, including benchmark appellations like Burgundy, Bordeaux, and Rioja, it skews Spanish, a fact that comes down to economics and availability as much as it does to personal taste. Valkyrie specializes in leveraging nascent and financially strapped markets, and sniffing out up-and-coming regions before the rest of the industry. Much of its Spanish portfolio hovers around $12 to $18; Ziegler argues that equivalent organically produced, carefully made wines from France or Italy retail for a lot more. But Ziegler is the first to admit that a single-minded focus on purely economic value isn’t the only thing shaping Valkyrie’s book. Graf concurs, explaining that he and Ziegler build out their portfolio with both value-driven business decisions and their own palates in mind. Valkyrie’s philosophy has not gone unnoticed in the industry. Whole Foods named Banshee Wines and Valkyrie Selections the Outstanding Wine & Beer Supplier of the year in 2016, an honor the luxury grocer bequeaths on partners it believes embody its own sustainably minded mission and values. 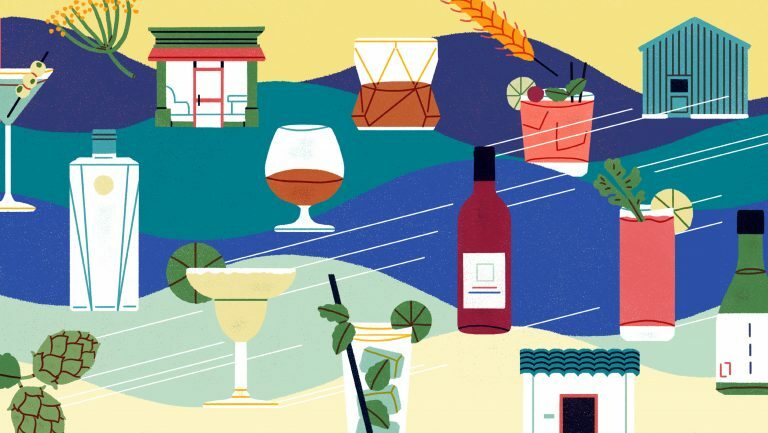 Whole Foods has also partnered with Valkyrie on an exclusive line of organically farmed wines from El Terrano and Calixo Cava for the grocer’s shelves. The wines—Tempranillo, Garnacha, Monastrell, Garnacha Rosado, Albarino, and Verdejo from El Terrano, and sparkling wine from Calixo Cava—are all priced at $15 or less. Ziegler and Graf have been able to balance their passion for delicious wines and great deals with pure practicality. So instead of gassing up a Citroën Traction Avant and exploring the chalkstone villages and fragrant vineyards of the Loire Valley, Graf and Zeigler report to industry trade shows—namely, Vinitaly in Verona, and ProWein in Düsseldorf—with lengthy and precise shopping lists. While Valkyrie’s portfolio ranges from $12 Cava to the much more dear grower Champagne, most of it resides comfortably in the $18 to $25 high-end “good deal,” low-end “luxury” range. Most of their labels also produce between 10,000 to 40,000 cases per year, though they do have a Grenache-maker who cranks out millions of bottles, says Graf, and a “gem” from the Loire Valley that hovers around 1,200 cases annually. And just as the $12 Cavas keep the lights on, they also pay for the small-batch, costly wines that Graf and Ziegler see as Valkyrie’s banner products. Expertly managing logistics is one thing. Persuading a client to completely revamp their label and marketing strategy is another. But Graf and Ziegler were moved to take decisive action when they saw the potential for wild success (taste plus price point) and failure (an old-fashioned label) in one winemaker in particular. 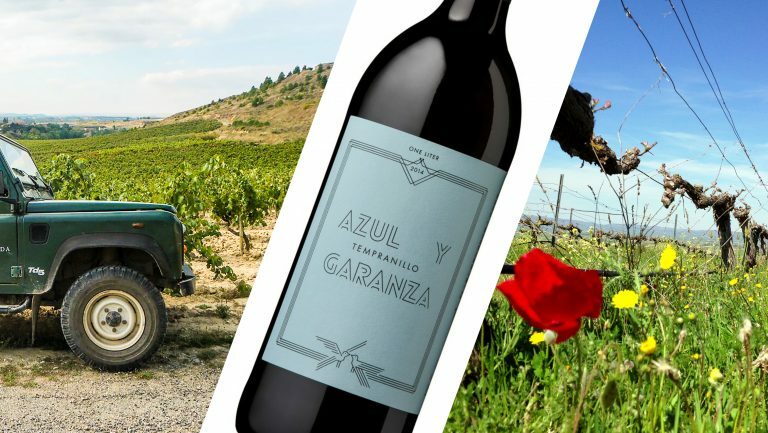 The winemakers at Azul y Garanza, Dani Sánchez and María Barrena, view their relationship with Valkyrie as more of a partnership than a business transaction. Not everyone is open to Valkyrie’s marketing advice, though. Graf and Ziegler explain that they’ve learned to whom and how to pitch marketing advice, and so far, the handful of labels that have agreed to take their advice have seen a significant uptick in sales. As for wine buyers, they depend less on Valkyrie’s polished presentation, and more on their palate. As Graf points out, this is especially important with the Spanish market. Valkyrie’s rise, while stratospheric, has not been without challenges. 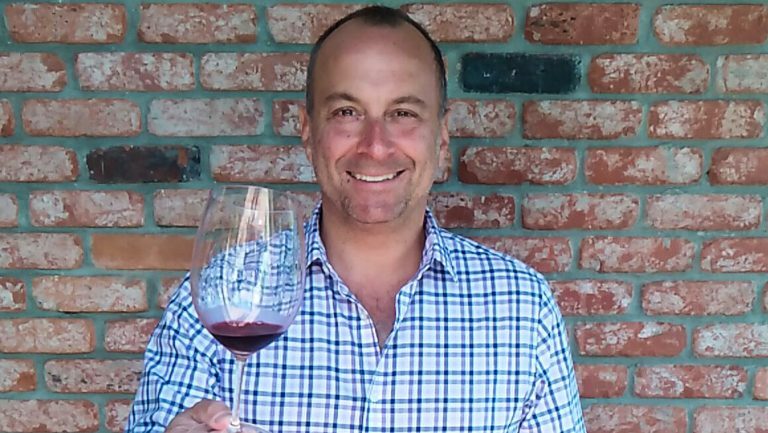 With capital secured, a partnership with Whole Foods in place, and several dozen well-regarded wines in their portfolio, Graf and Ziegler see Valkyrie as another full-time job. In the past few years, they’ve hired about six salespeople and back-office staffers to keep up with and increase the demand, and they plan to hire a few more people down the line. What will be the next interesting wine region offering great wine at a reasonable price? Check with Valkyrie. Graf and Ziegler are securing a few promising new offerings right now.